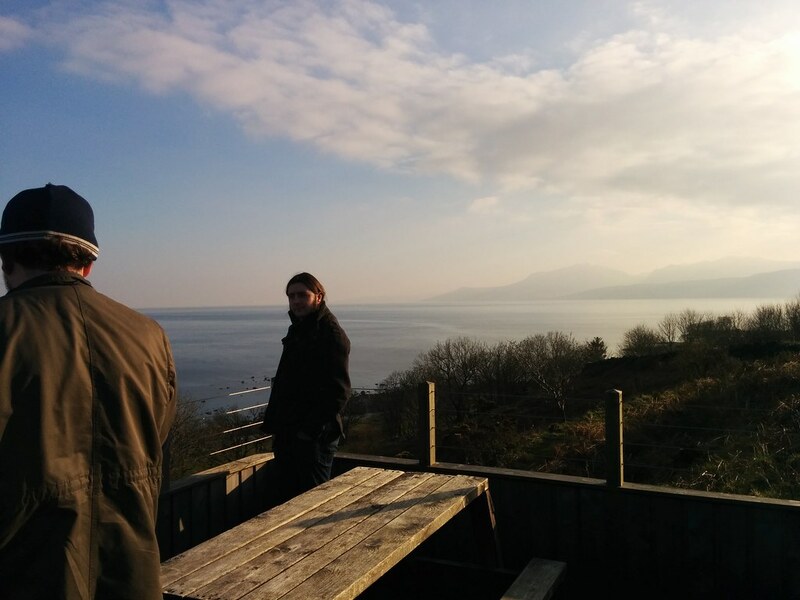 The second trip to Bute as part of the Pararchive project. 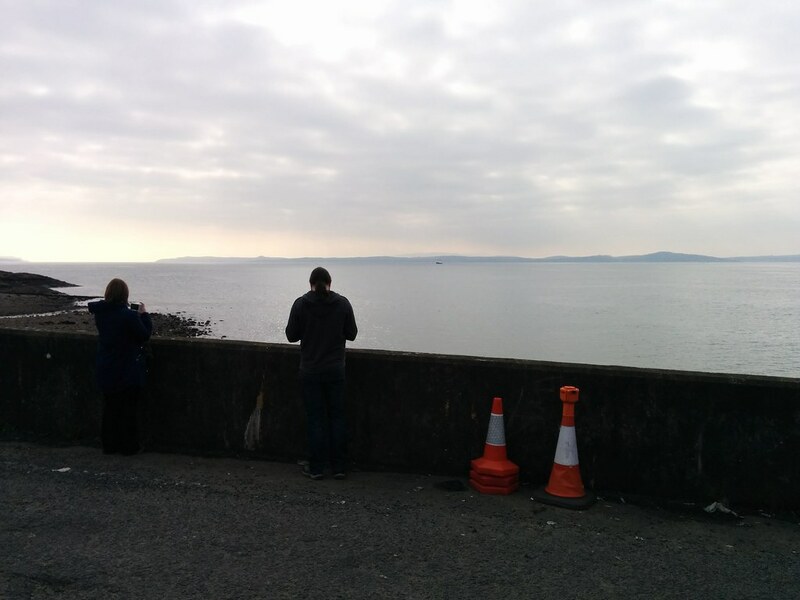 Dean and Fiona waiting for the Ferry after a long car journey from Leeds to Wemyss Bay. Our second visit to Bute was undertaken by Dean, Fiona, Alison and myself and after a long but pleasant journey (in which we were shamefully hoisted on our own service station prejudices) we found ourselves sheltering from the wind inside the Rothesay Ferry, watching the coast of Bute getting closer and growing more distinct. 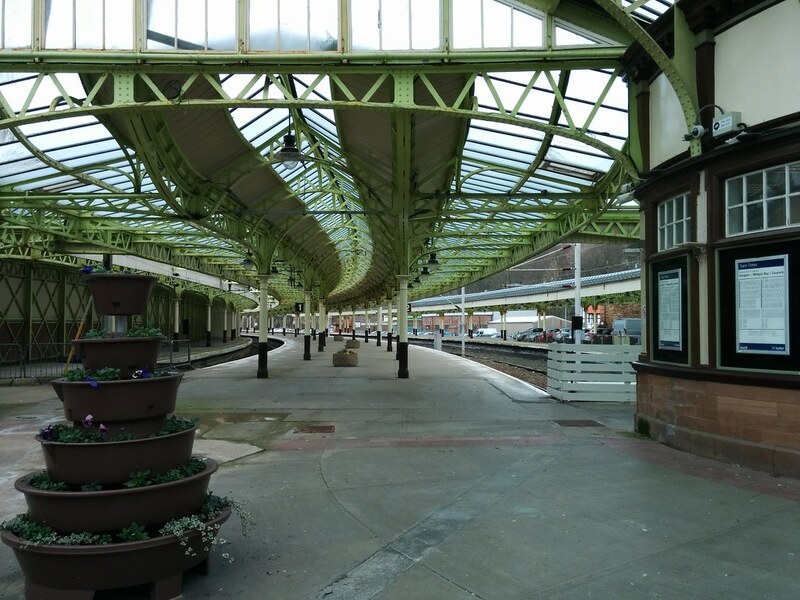 The Wemyss Bay station has a very impressive roof. I think it's worth noting how utterly freezing the ferry trip was! Attempting to link our stories. I've been to Bute twice and there is a passage in this story (http://beta.pararchive.com/stories/140) which is about that trip. We met Paul shortly after checking into our hotel and were given a whilste-stop tour of the island encompassing the site of the old and new creamery (now the Sheese factory), an abandoned and now derelict Ambrismore Farm, a beautiful viewing platform across Scalpsie Bay, at the south end of the island as well as crossing that mystical point where the lowlands and the highlands meet. 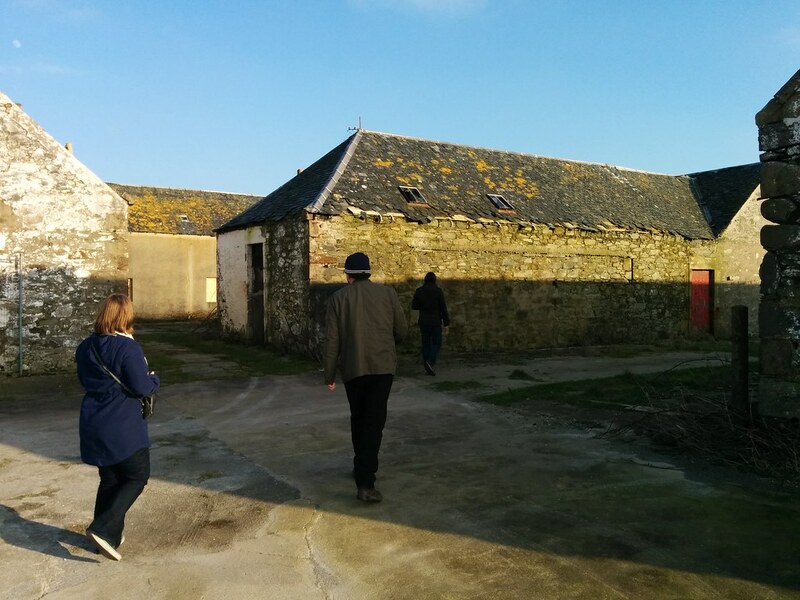 Looking around Ambrismore Farm with Paul. The view from Scalpsie Bay. 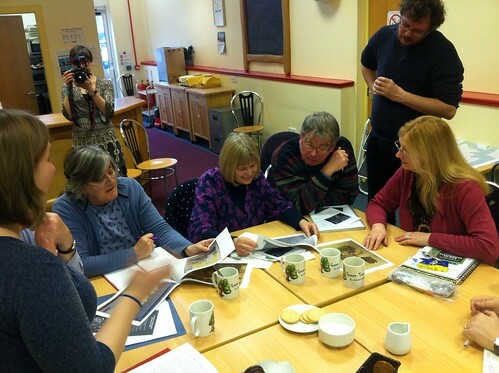 The workshop itself took place in the cafe of the Rothesay Libary and was a very successful and productive event. After introductions we started by addressing some of the concerned participants had about the project and their understanding of it. The word “hazy” had been bandied liberally around and we tried to negotiate our way around it with without going further than we felt was appropriate at this stage. There were still some thistly issues to be addressed and the thistliest of these is currently the nature and extent of the access participants will be able to get particularly to the BBC archive. Fiona was able to update us all on this subject as well as suggesting a host of alternative sources of information which was gratefully received and which it was interesting to see the group hadn’t already been aware of. Alison also stepped in with some wonderful prepared leaflets giving participants a taste of some of the Science Museum’s collection which caused a great deal of excitement and discussion. We finished the trip with a visit to the purpose-built Bute Museum next door to the library in the company of Museum Curator, Anne Speirs. 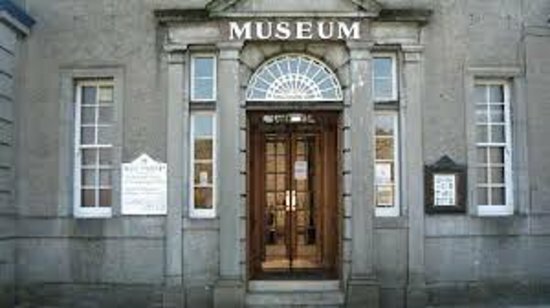 The museum houses a wealth of local historical objects including the ‘hostage stone’, a carving (apparently done by a viking child) which is shortly to be taken to Denmark on loan. After that we passed the Haste Ye Back sign at the ferry terminal and were soon back on the main land and homeward bound.